Elephants have been suffering from plummeting numbers due to habitat loss and poaching for ivory, so people are trying to figure out how to conserve these beautiful animals - but it seems no one can agree on how to do it. Tearing African elephants from their home in the wild and sticking them in U.S. zoos is one plan that was recently proposed, and now it's going to happen. A decree approved on Thursday will allow people to ship 18 elephants from Africa to live in the Dallas Zoo, Sedgwick County Zoo or the Henry Doorly Zoo. "We, the U.S. Fish and Wildlife Service, are making available the final environmental assessment and finding of no significant impact under the National Environmental Policy Act regarding a permit application submitted by Dallas Zoo Management, on behalf of the Dallas Zoo, Sedgwick County Zoo, and Omaha's Henry Doorly Zoo. 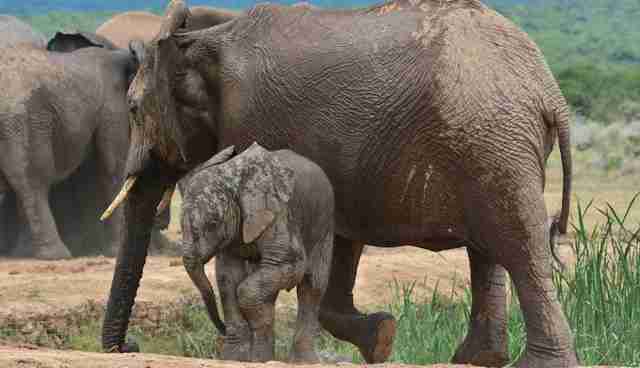 The three zoos have requested authorization under the Convention on International Trade in Endangered Species of Wild Fauna and Flora to import up to 18 live African elephants from Swaziland." There is no question that conservation efforts are crucial to the survival of endangered species. Some argue that this latest move is crucial to diversify the gene pools of captive bred elephants. But others say that this latest move is all about making money - both for the zoos and for the African governments profiting from the sale. "This despicable move puts cash before conservation," said Dr. Marilyn Kroplick, president of In Defense of Animals (IDA). "It is deeply irresponsible of the USFWS to allow this precedent-setting removal of African elephants from Africa for a lifetime of captivity." The last time the U.S. imported live elephants from Africa was 2003. "The zoos are rewarding Swaziland by paying large sums for capturing the elephants; thus making these and further captures lucrative for Swaziland and other governments," explained Toni Frohoff, Elephant Scientist for In Defense of Animals (IDA), in a press release. "This is a huge blow to conservation. Elephants in zoos will never be returned to Africa, as one would believe by the zoo's conservation claims. 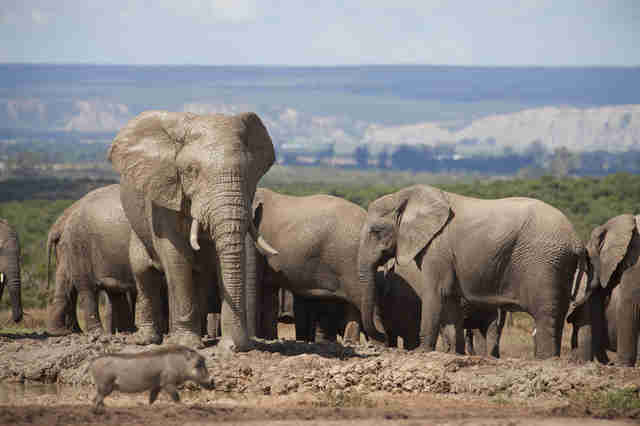 These African elephants will live and die on American soil and concrete. It is the complete opposite of conservation - it is a desecration." To learn more about IDA's campaigns for elephants, click here.